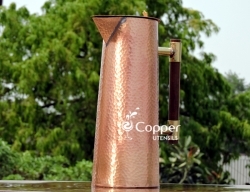 Copper plated exterior to give it a vintage look. 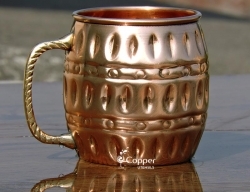 Well-made brass handle with thumb rest for better grip. 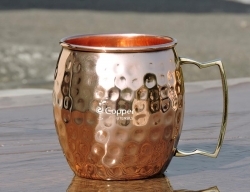 Perfect for serving all types of cold beverages. 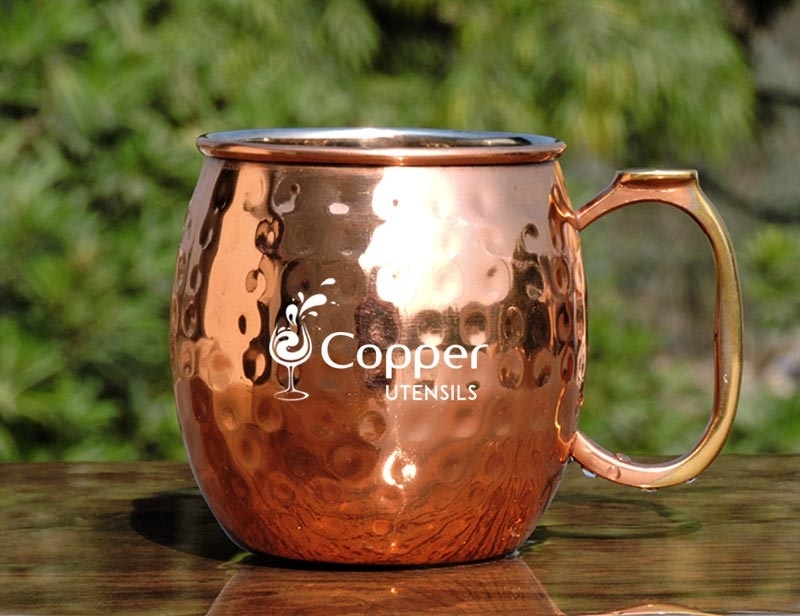 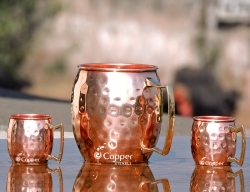 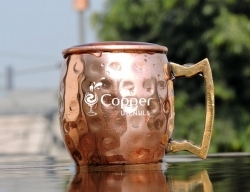 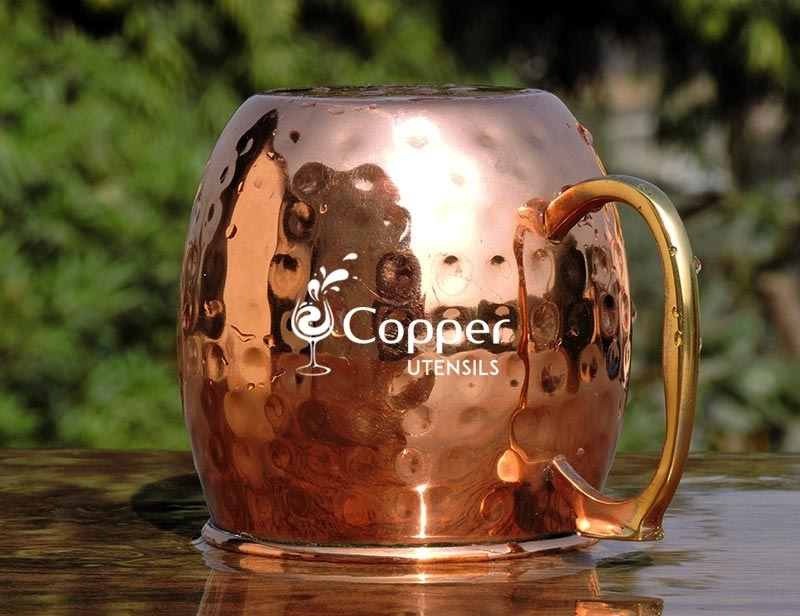 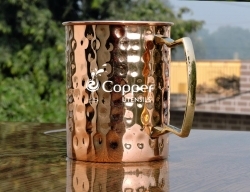 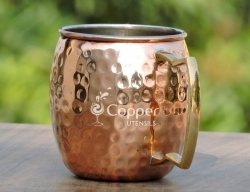 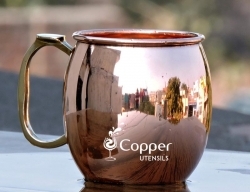 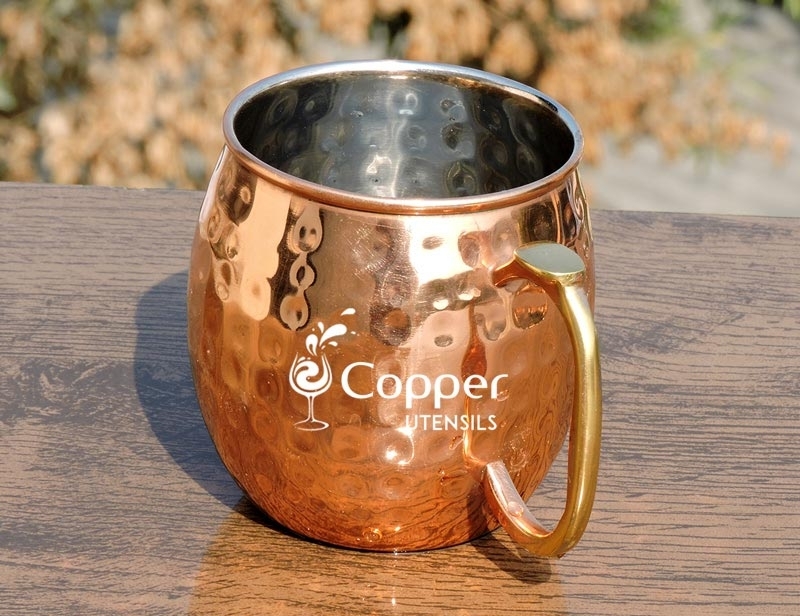 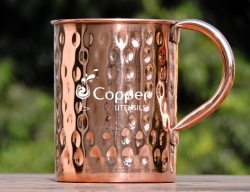 This hammered stainless steel and copper plated mug is the perfect combination of style plus utility. 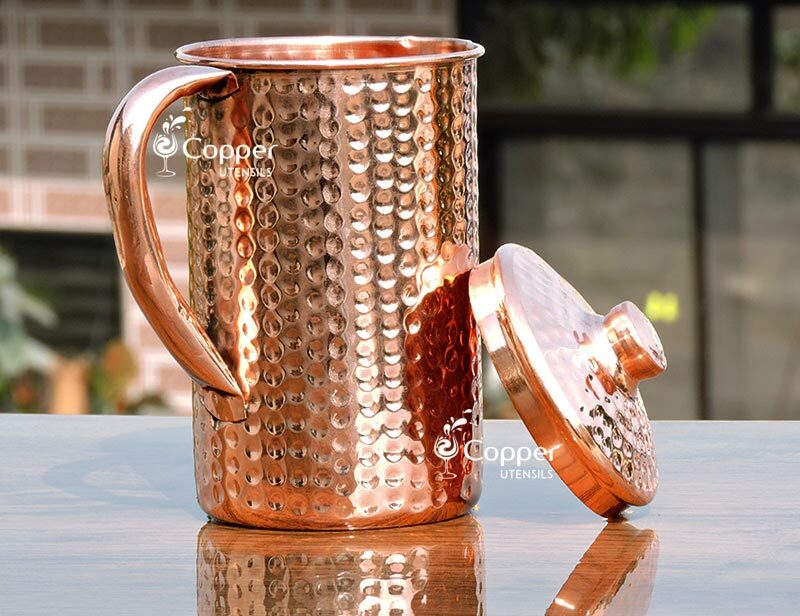 The stainless steel interior allows you to serve all types of cold beverages in it including lemonades, carbonated drinks, sodas, etc. 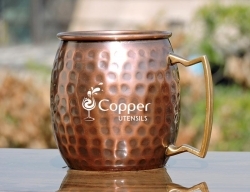 The hand hammering technique adds a vintage feel to the product. 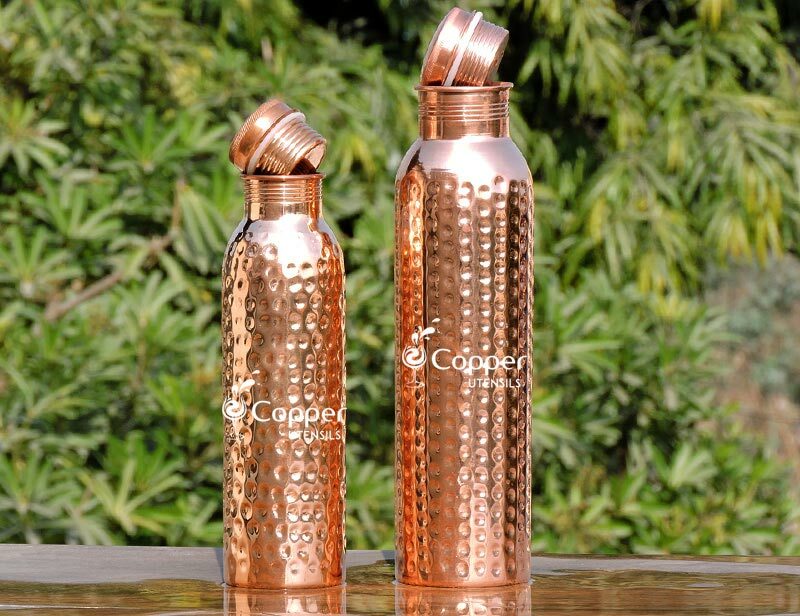 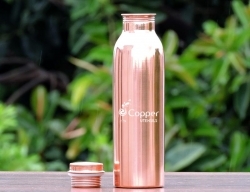 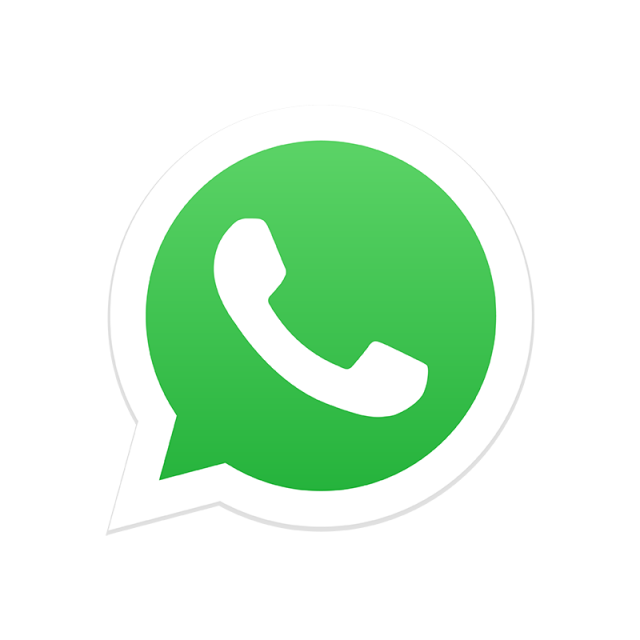 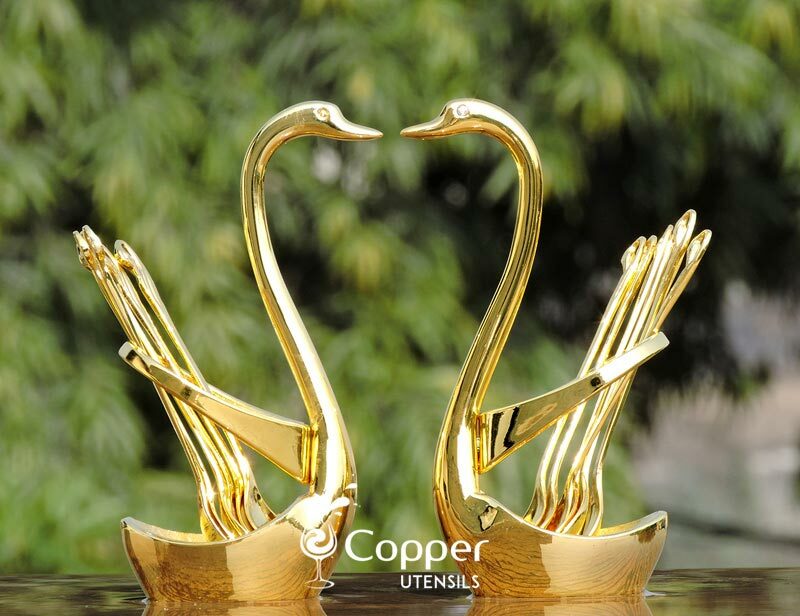 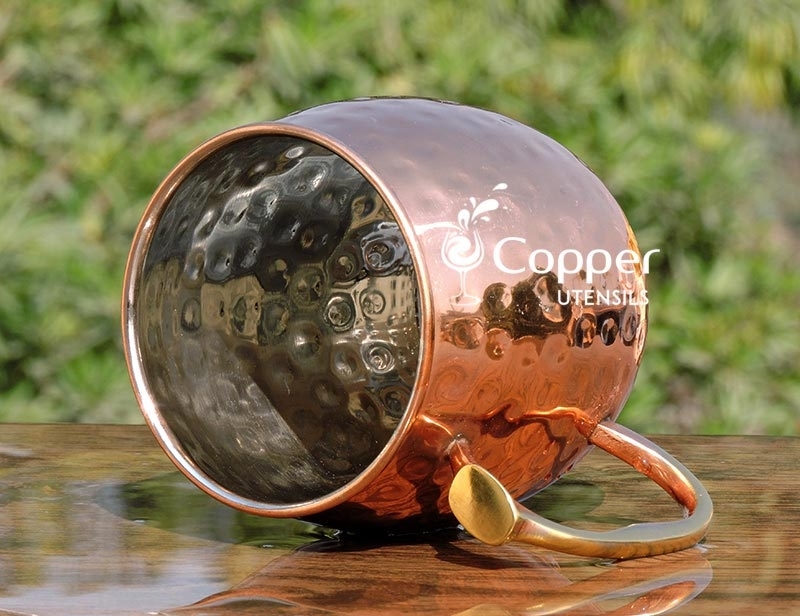 The high-quality copper plating is tarnish resistant and will not chip. 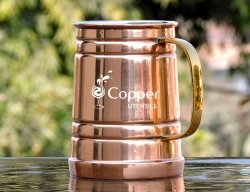 It also has an attached brass handle with a thumb rest to provide maximum comfort and support while holding the mug. 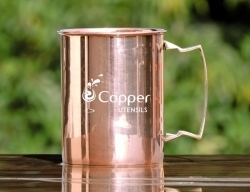 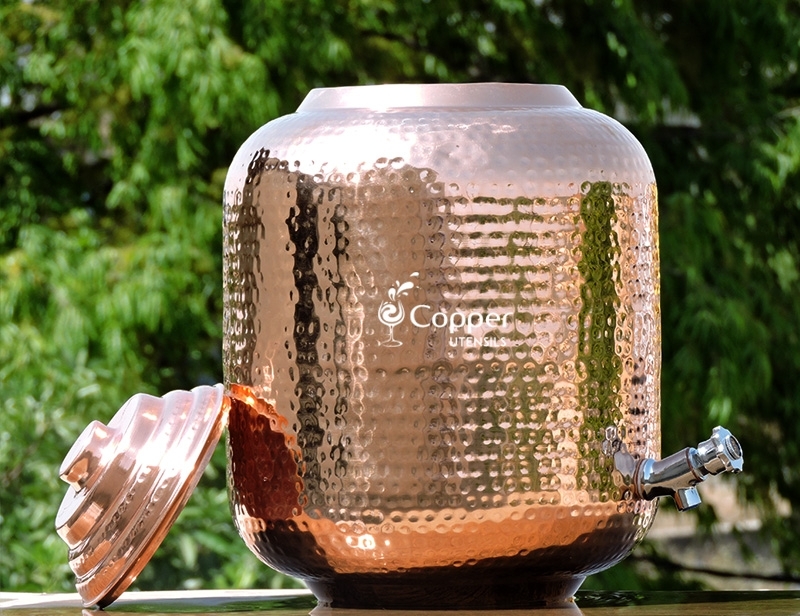 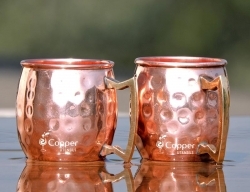 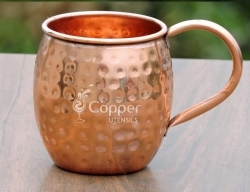 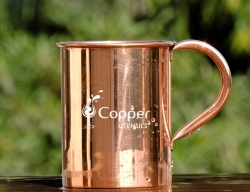 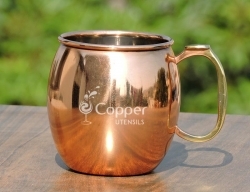 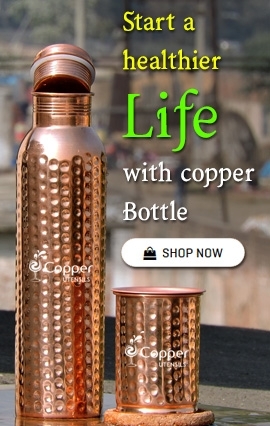 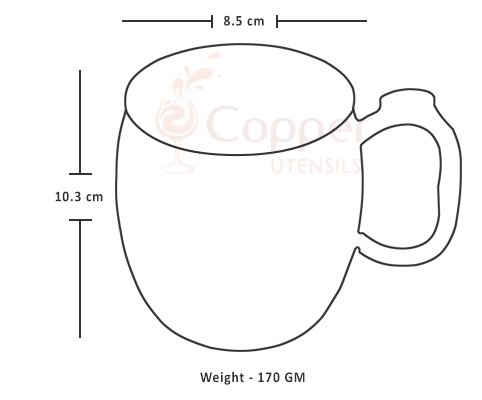 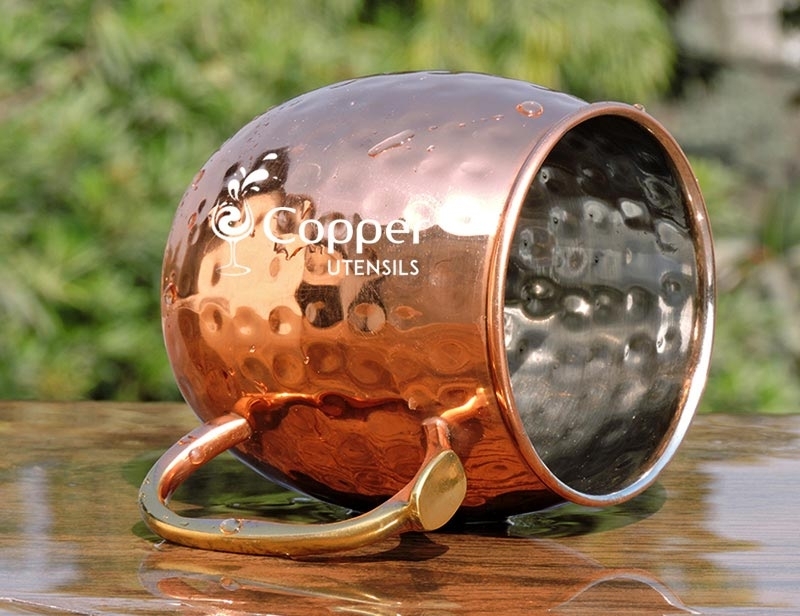 As compared to pure copper mugs, this one is fairly easy to clean and maintain. 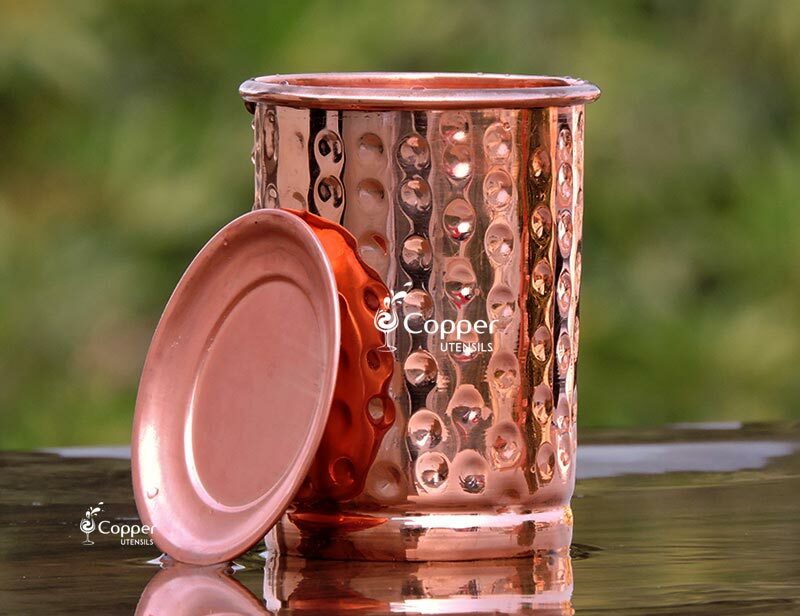 You can put this in the dishwasher and clean it normally or you can also clean it with a soft sponge, using dishwashing liquid and water.